I have always found it very interesting to see how different cultures interpret The Nativity (Christmas) Story. Today I bring you a dozen interpretations from different cultures around the world. We also look into two more ways to keep Christ in Christmas. 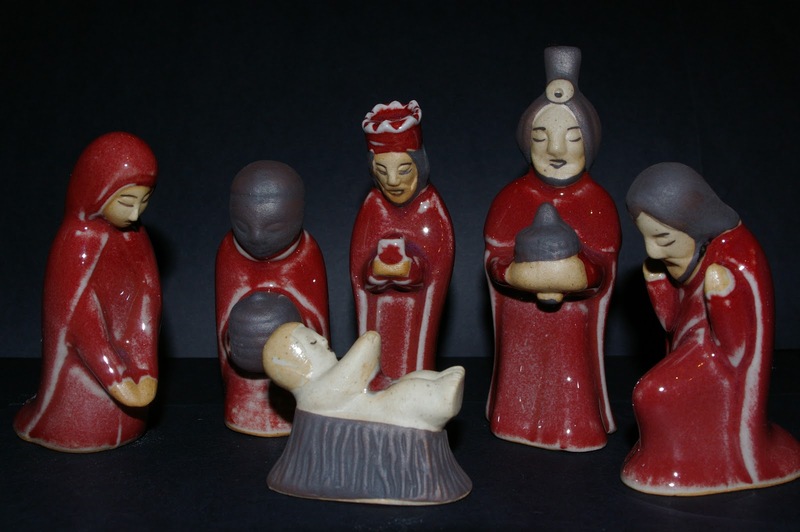 This beautiful collection of dolls shows the birth of Jesus. 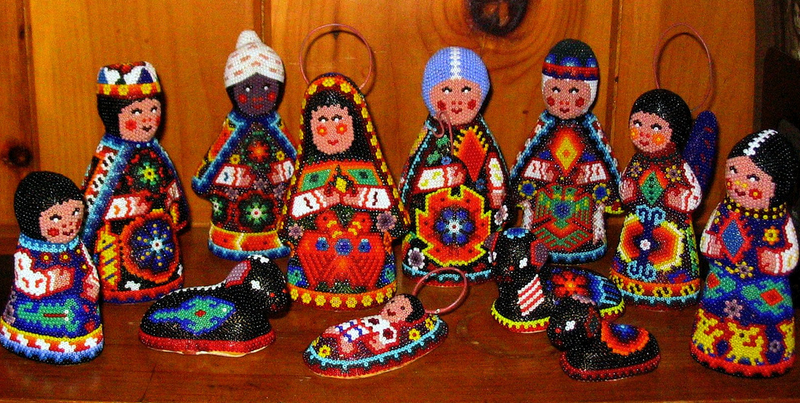 The first doll shows the birth of Jesus with the heavenly burst of star in the sky above them. 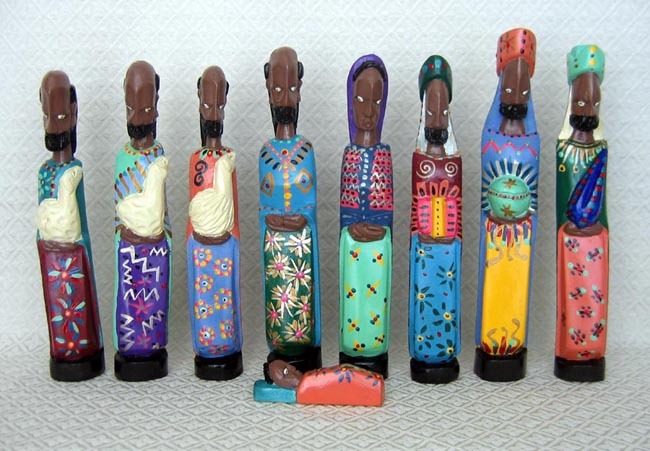 The second doll shows when the three wise men come to see Jesus. The third doll shows an angel. 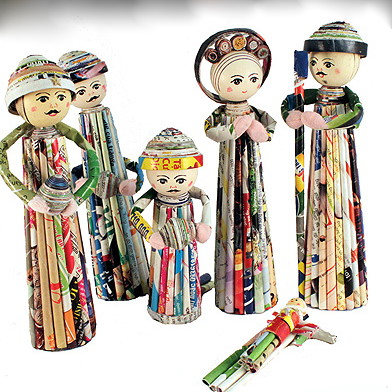 The forth doll shows the wise men again. And the fifth shows a mule. In these five beautiful paintings you will see the marvel of Jesus. It is a wonderful piece of art and is signed by the artist. A desirable piece for any collector, or for anyone who loves Jesus. We have a limited quantity of this item. 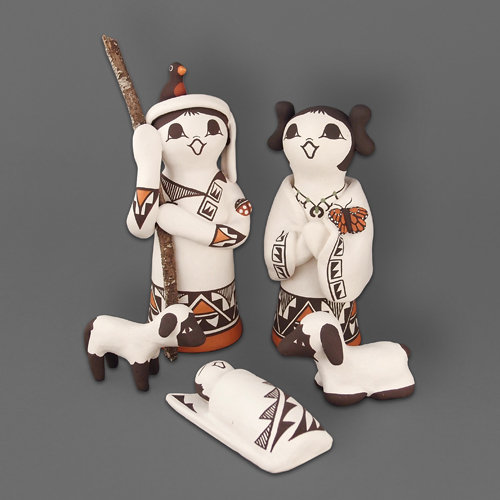 This Nativity set from Zimbabwe was made by John Chonyoni. He lives in a rural area near Rusape, about 200 miles from Harare, the capital of Zimbabwe. John’s entire family is involved in making the pieces: chopping the jacaranda tree, carving, sanding, painting, etc. 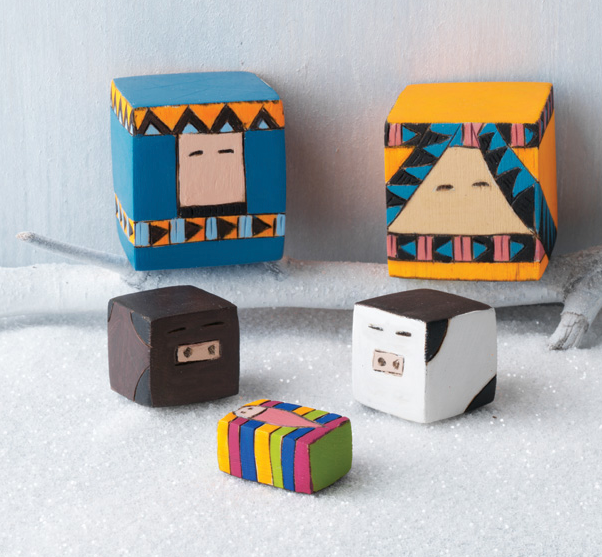 Alexander Girard amassed a huge collection of nativities, most of which he spent the last years of his life curating for his wing at the International Museum of Folk Art in Santa Fe. We thought it would be an appropriate homage to create a completely new nativity based on a Girard illustration that hangs in his son’s house. Made in the USA. This set was handmade in Thailand, made from oxblood celadon. The art of making celadon was created in ancient China, however, this celadon comes from northern Thailand. 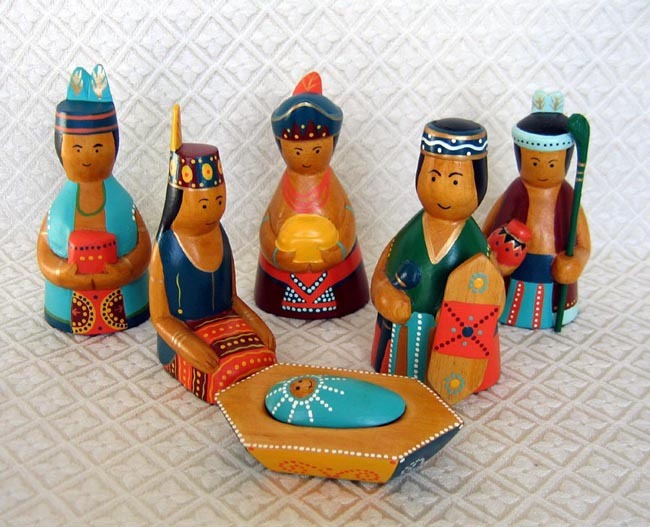 This Nativity set is carved from wood and then hand-painted. The clothing style represents the indigenous Dayak culture from Kalimantan, Indonesia. 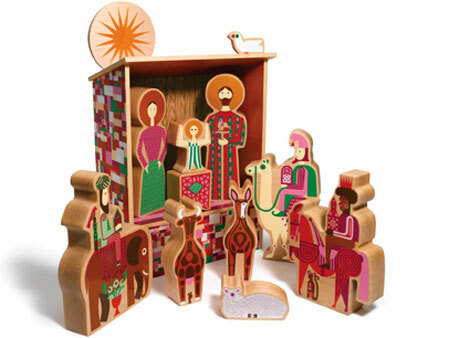 The set includes Joseph holding a sheild, Mary, baby Jesus, and three wise men with gifts. Joseph measures 4.75 inches tall. 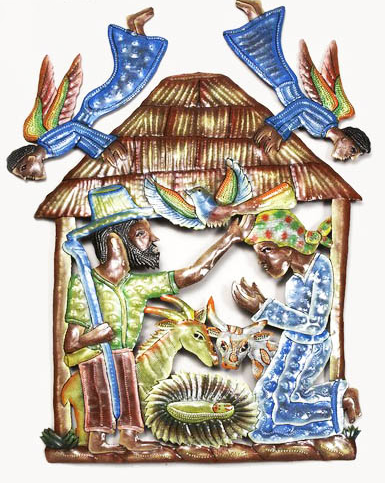 Two Haitian angels bend low over the Haitian Holy Family in this bright Caribbean wall hanging nativity. 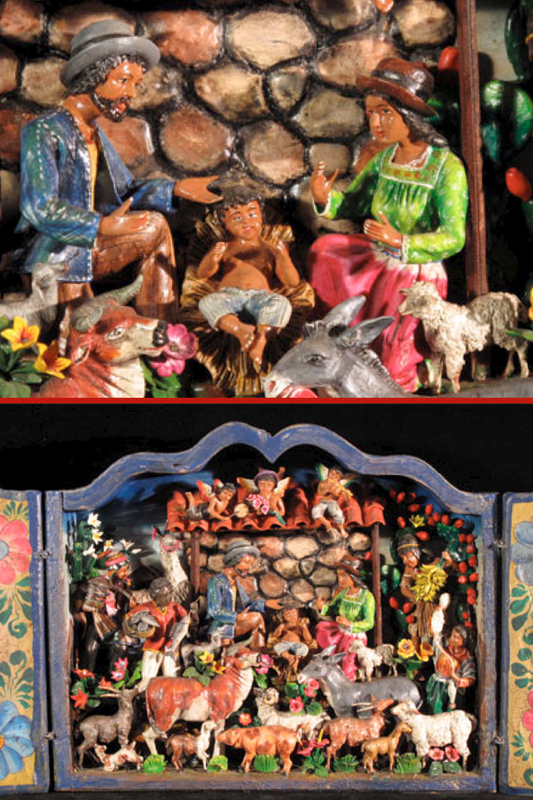 Artisans make this nativity from painted cut metal. To create pieces such as this wall hanging, Haitian cut metal artisans cut open 55-gallon drums, hammer them flat, and then mark designs on the black metal with chalk. Using a hammer and chisel, they pound and cut through the metal to make designs. Intricate painting adds to the striking design. Among Haiti’s most original art forms, this type of ironwork began in Croix des Bouquets, a small village outside Port-au-Prince. In the early 1930s Georges Liautaud formed imaginative cemetery crosses from recycled metal cut from oil drums. An artistic tradition has grown from those humble beginnings and now the village has become a center for this art, with more than 60 workshops. These are really wonderful! Thank you for sharing them. 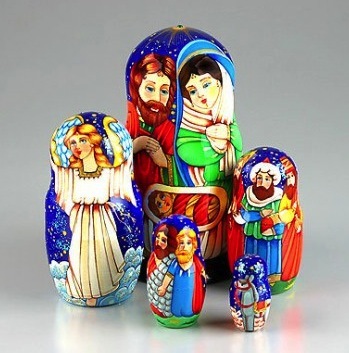 I am fond of collecting unusual nativity sets, as well. You have some really nice sets. Thank you for your informative post. I’ve been collecting nativities for a while, as well. I am very interested and fascinated by how people from other countries intertwine their cultural practices, physical appearance, and local materials to create these beautiful works. 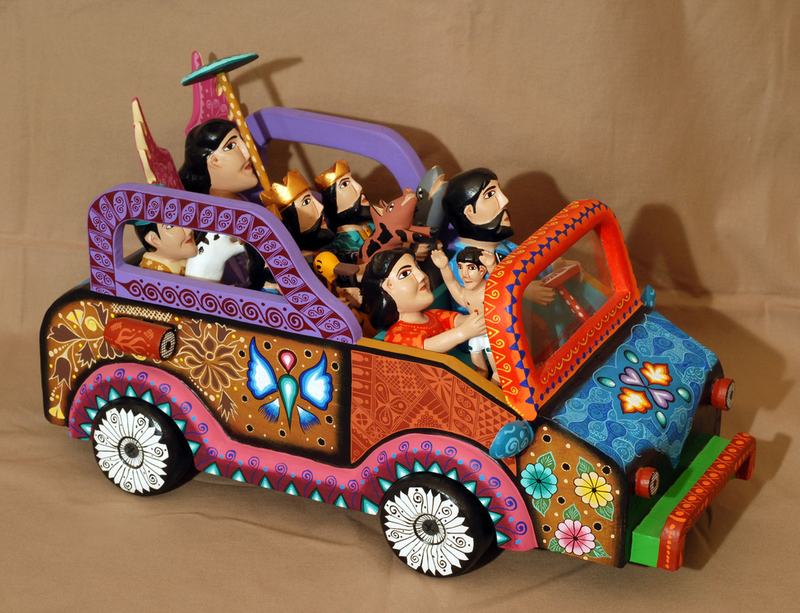 I have also been to the folk art museum in Santa Fe, it’s one of those enchanting places where the world of dreams and imagination become real. This entry was posted on December 25, 2012 by Paulina Constancia in Create and tagged Arts & Crafts, Christmas, sculpture.